The Mortgage Balance Of Utah Mayor Family Paid Off in full. The Tunnel To Towers Foundation headed by Chief Executive Officer Frank Sillar was responsible for making this dream come true happen to the Taylor Family. Frank Siller was also responsible in having FOX News Paying Mortgage Balance to family of Police Officer Ronil Singh recently. A mortgage is the highest debt most families have. A mortgage payment is the highest monthly expense for most Americans. 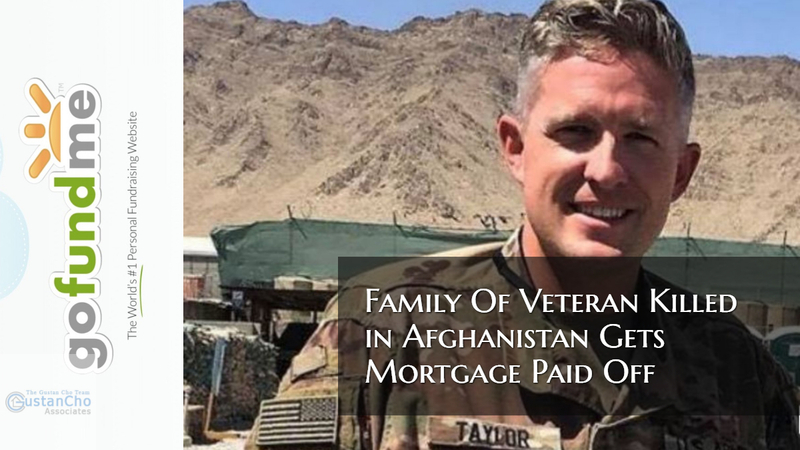 The mortgage balance of Utah Mayor Family Paid Off in full is a gift from God to the family of Utah Army National Guard Major. The Major and Mayor was killed in the line of duty in Afghanistan while serving his country. The Stephen Sillar Tunnel To Towers Foundation, headed by CEO Frank Sillar, is a charity that was launched in honoring fallen NYC Firefighter Stephen Sillar. Stephen Sillar is a New York City Firefighter who passed away in the line of duty during the 9/11 Twin Towers Attack. The foundation raised the money to help the Utah Mayor’s Family pay off their mortgage. There are no words to express the work of Frank Siller of the Tunnel to Towers Foundation. CEO Frank Siller presented the news and proof of mortgage payoff to widow Jennie Taylor live on “Fox & Friends”. U.S. Army Major Brent Taylor was killed in the line of duty on November 3rd, 2018. Besides being with the Utah Army National Guard who was called to active duty, Major Brent Taylor was the North Ogden, Utah City Mayor. Taylor was killed during an insider attack in Kabul. Kabul is the capital of Afghanistan. This was the fourth tour of duty for this hero. He was only 39 years old. Brent and Jennie Taylor has seven children. Our country has a volunteer military system. There is no drafts. It is a voluntary system where young men and women who want to serve our country join one of our branches of military service. When our soldiers sign up for our military, they realize that they can get called for a tour of duty in dangerous places. All Americans respect members of our military. The Department of Veterans Affairs offers VA Loans to our members of our military as a thank you for their services. VA Loans is hands down the best loan program. 100% financing with no down payment required. No closing costs. Closing costs can be covered by sellers concessions and/or lender credit. No minimum credit scores required. No maximum debt to income ratios. The reason we have no overlays on VA Loans is due to the respect The Gustan Cho Team at Loan Cabin Inc. has towards our men and women in uniform. Gustan Cho Associates at Loan Cabin Inc. are one of the few national lenders with no overlays on VA Loans. A large percentage of our borrowers at The Gustan Cho Team at Loan Cabin Inc. are veterans of our military. Every single borrowers are VIP’s. We offer special treatment to all of our veterans. We appreciate our veterans of our fine military branches on the sacrifices they make to keep us Americans Safe. “Brent is a man that’s larger than life, especially now that we’ve lost him,” Jennie Taylor said. “A man who loves his country, loves his family and above all, loves his God. I’m a Gold Star wife, which I never expected to be, but I’m a very proud Army wife. I really am.” Jennie Taylor knows that Brent Taylor has sent Frank Siller of The Tunnel To Towers Foundation as their Angel to having their mortgage paid off in full from Heaven. The grieving family has one huge burden off by not eliminating their single highest monthly expense. Jennie Taylor was a stay at home parent staying at home raising their 7 precious young children while Brent was out working to support their large family. Now, the single parent needs to work couple of jobs to make ends meet. With eliminating the biggest monthly expense, it will make things easier but nothing can replace Brent Taylor missing. He is loved, missed, and appreciated by the Taylor Family and all Americans. This BLOG On Mortgage Balance Of Utah Mayor Family Paid Off Was PUBLISHED On January 21st, 2019. Even though Mortgage Balance Of Utah Mayor Family Paid Off, the family is adjusting their lives with their beloved father.